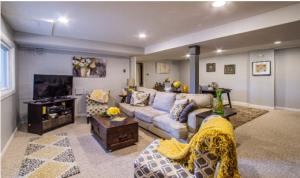 Upsizing or Downsizing- The Process Explained: A KW Beltway Homes Event! Are you planning to sell but not sure how to swing the transition to upsize or downsize with ease? Do you have questions about how to move from one home to another without breaking the bank? Worry no longer! We at KW Beltway Homes understand navigating the road to selling and buying a new home is a challenge. Come and join our newest seminar Saturday March 9th and worry no more! Come and visit us on March 9th at the KW Beltway Homes office, 6820 Elm St., McLean VA 22101, from 3pm- 5pm for an incredible afternoon review of all things related to the selling and buying transition. Whether you’re upsizing or downsizing, we have the local experts who can help you navigate successfully. Not only will Alex and Mary be there, but so too will several of our trusted partners in the world of real estate including mortgage brokers and home staging, cleaning and organizing specialists. What to do first, sell or buy? How can I maximize the efficiency of my move? Get the answers to these questions and much more when you join our special Home selling and buying seminar! We hope you’ll join us, all we need is your RSVP! You can RSVP at our official event page or you can call Alex directly at (202) 361-1717 and he’ll personally RSVP for you, so what are you waiting for? Join us at this amazing and informative KW Beltway Homes event! 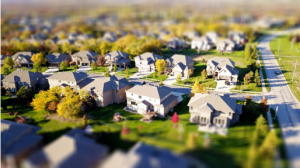 When it’s time to sell or buy in any Beltway community, Alex Pachedzhiev and Mary Anthony have the real estate know-how to help guide you through the process and put in touch with other resources to help from start to finish. Work with a local, experienced realty team. Learn more at Keller Williams Beltway Homes, then contact us directly by phone (703) 495-3283, or email at alex@beltwayhomes.net, to get the conversation started.